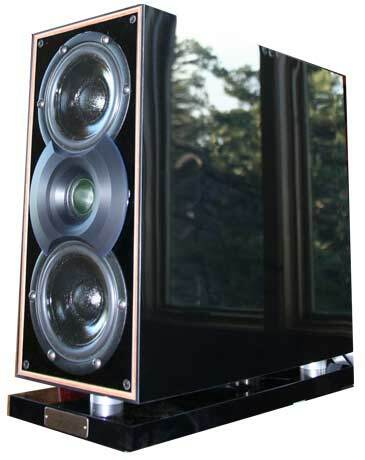 The Sph�ron Excalibur is Acapella's top-of-the-line speaker. 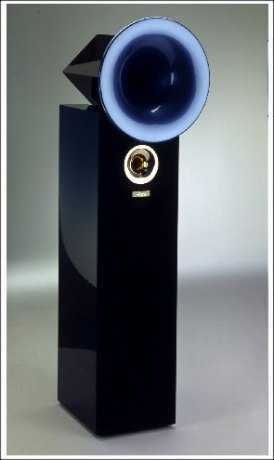 The Triolon Excalibur is without question one of the very best speakers in the world. The Campanile is one of the finest speakers in the world. The Violon is Acapella's smallest speaker that still comes with the awesome plasma tweeter. 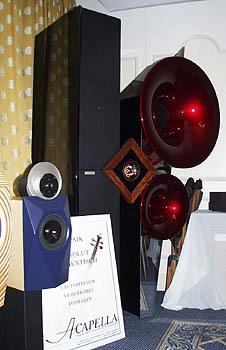 It has the same sonic signature as the Campanile, with just a slightly smaller soundstage and dynamics, and can be at home in almost any size of listening room. 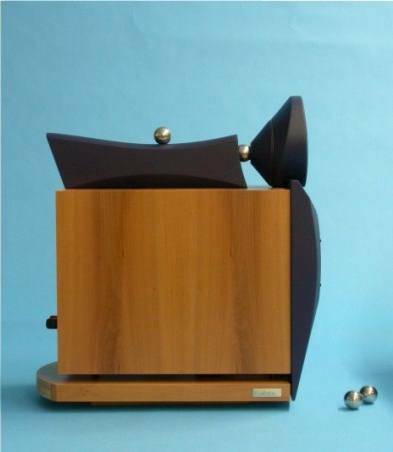 The LaCampanella is one of Acapella's newest speaker designs. With a hyperspherical horn, fast quick bass and easy drivability, it puts the competition in this price range to shame. The Fidelio 2 is a monitor speaker that does not sound like a monitor speaker. 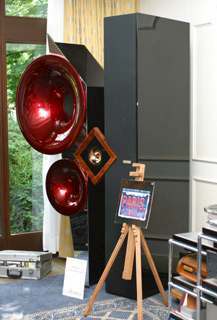 In a small room, these present a very large, shocking full and rich sound that belies their small size. This little speaker is the arguably the cutest speaker built by Acapella. This vibration isolation platform increases the detail and articulation amazing well independently of the weight of the component or speaker on top of it. Acapella Audio Arts (website translated into English) is a German company that has been in business for over 20 years. 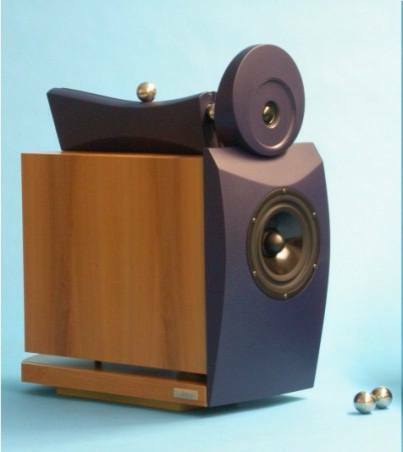 Each loudspeaker is custom-crafted by just a few artisans. 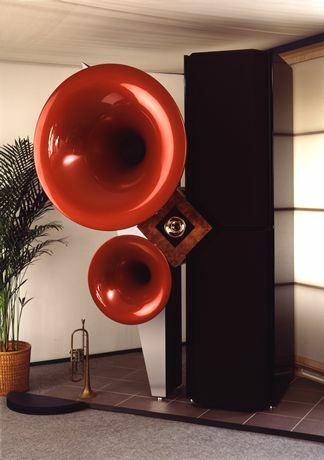 The company was one of the first, if not the very first, to use horns in their loudspeaker design. There is a feedback forum on Acapella's website (translated into English). 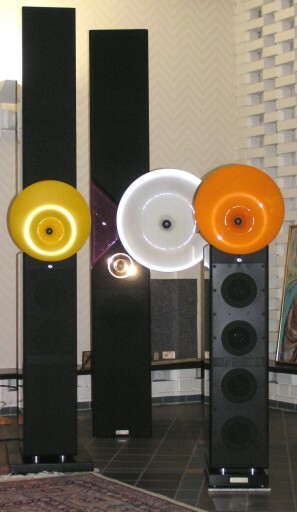 Why are some astute listeners so enamored with the Acapella high-end loudspeakers? Perhaps it is the soundstaging - where everything just sounds so 3-dimensional and so lifelike - that the listener cannot help relaxing and enjoying their music. Perhaps it is the dynamic capability - which produces notes that sound so real, just like when they were made by the musicians themselves - that the listener is emotionally moved, and often completely overwhelmed by their favorite music. Or perhaps it is just simply their ability to present seamless, top to bottom, inside out, delicious music without doing anything seriously wrong - unlike every other loudspeaker in existence. By integrating the most advanced loudspeaker technologies known today, applying each to the job that it is best at, into one seamless whole Acapella has arrived at an optimal solution to the problem of music reproduction. The ion tweeter is a massless, diaphramless approach to reproducing the audio frequencies between 5kHz - 50kHz. Here we see a waterfall plot (of the Violon 1). Notice the unheard-of cleanliness of the decay of the notes in the upper frequency ranges. Horns provide the dynamics of real, live music. Acapella uses traditional cone drivers, which is still the best technology known for producing those deep bass notes that communicate so much of the emotional content of music. Acapella Audio Arts has been in business making audio equipment for over 20 years. The Sph�ron Excalibur is developed from the "classical" Sph�ron, the new Excalibur is raising to a new standard of dimension and variability. In consideration of the fact that the former Sph�ron had to be combined with a 12m� horn unit for transmission of the lowest frequencies, the new Excalibur now can easily be integrated into living rooms having a minimum size of 40m�. Two towering pillars with four huge 15 inches woofers for each unit now are taking over the part of the low frequency horn unit. 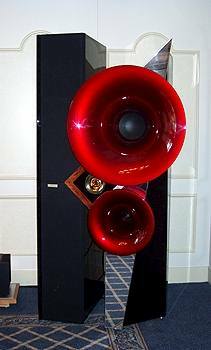 This loudspeaker system has no limits: with a 15 watt power already, music will be reproduced three-dimensional, thus giving you the illusion to be a member of the orchestra or the band. 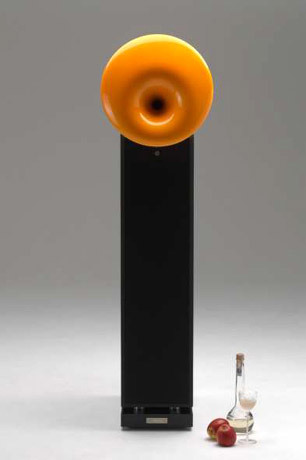 From the softest, perceptible sounds, these loudspeaker sculptures can accelerate the music like lightning, comparable only with the spurt of a racing car. When the music is soft, the sounds caress your skin. When it changes into a powerful fortissimo, the listener will be swept away to the epitome of joy. Horn color: any German automotive paint (Mercedes, BMW, Audio, etc.). Other options: cabinet colors and finish. Other options and completely custom speakers available upon request. 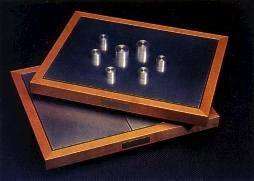 The Triolon Excalibur is a parallel to the Sphaeron Excalibur and is characterised in all substantial aspects with the same superiority and finesse for music reproduction. The somewhat smaller size already permits the employment of this horn system in areas starting from 25 yd�. Already with the small power requirements starting from 15 watts the volume range of a whole orchestra can be illustrated with this very efficient system. 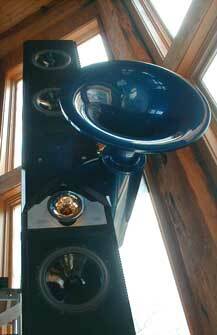 The Acapella Campanile is a sealed 3.5-way loudspeaker system. Four 10 inch woofers are working in separate chambers and cannot influence each other. Fine adjustments to the ion tweeter and the midrange horn unit can be made in order to adapt the loudspeaker to every acoustical environment. "Close your eyes, you won�t be able to believe that the music is coming from a Hi-Fi system. You will get the illusion to sit in a live concert with all the musicians just in front of you. Reach out your hand and touch them! Even at lower volumes, the phenomena remains". Each speaker comes in three sections, each stacked upon the other. A variety of finishes are available for the cabinets: black, cherry and rosewood and, for additional cost, black acrylic (piano black). The horns can be ordered in any color (for example any color of a Mercedes automobile). 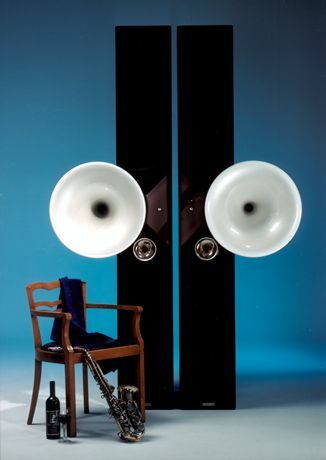 Campanile High: This special version of the Campanile loudspeaker adds additional internal bracing, uses even higher quality components for the internal crossover, and adds proprietary Acapella cable for the internal wiring. The result is even more transparency to what is already one of the most transparent speakers available in the world. The bass response is also tightened up for those who like just a little more bottom octave slam. Overall measurements (includes horn) 5'1" x 18" x 23"
Overall measurements (pillar only) 3'10" x 13" x 18"
The Acapella Violon Mk.3 (Acapella Violin Mk.3) is an open 3-way-system.The dynamics of the 25 cm woofer have been adapted to the speed of the mid-range horn unit and the ion tweeter. The used ion tweeter today is the fastest high frequency transmission system of the world. It is operating without any mass and the upper range of the high frequencies can only be limited by the manufacturer himself. Bandwidth normally is adjusted to 40kHz approx. This extraordinary bandwidth is providing an extremely precise reproduction of any kind of music. Even in the lowest frequencies you can feel exact modulation of the overtones. Fine adjustments to the ion tweeter and the midrange horn unit can be made in order to adapt the loudspeaker to every acoustical environment. 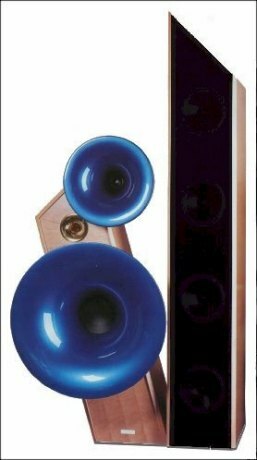 "Fantastic finish, excellent sound reproduction, finest audio measurements: Violon 1 combines the charm of a horn loudspeaker with the virtues of conventional loudspeakers". Violon Plus: This special version of the Violon loudspeaker adds additional internal bracing, uses even higher quality components for the internal crossover, and adds proprietary Acapella cable for the internal wiring. Since the most sensitive area of the human hearing is between 1 kHz and 4 kHz together with all overtones of this frequency range, the build up of transients, sound pressure occurring under 1 kHz should also be integrated into the hearing area of the overtones from a single point source with a mass as low as possible of the membrane. Ideal would be an �exact phase point spotlight�. Acapella has designed and engineered a new hyper spherical Horn shape with a single point source for high frequencies increasing from three to five Octaves, from 700 Hz to over 20 kHz. The newly designed horn fulfils the expectations demanded by the engineer achieving a natural output level over a wide frequency range. Horn color: any German automotive paint (Mercedes, BMW, Audio, etc.). The Acapella Fidelio 2 (Acapella Fidelio II) is a small monitor speaker that is able to generate incredible bass and very large, very precise and engaging soundfields in small to average sized rooms..
An optional stand for the Fidelio is available. It is 27.2" tall, 10.2" wide and 17.9" deep and adds $850 to the price of the speaker. See our fall 2005 showroom tour for many pictures. 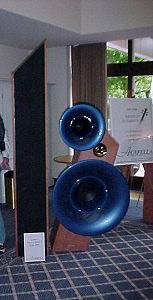 The Acapella LaMusika (Acapella La Musika, La Musica) is a 2-way-system. 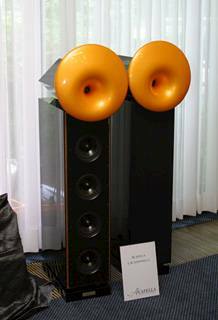 La Musica was developed in collaboration with Alfred Rudolph (Acapella), Peter Suchy (CLEAR audio) and Rolf Gemein (Symphonic LINE) as part of a joint venture (see reviews below) to develop a whole, audiophile-class but reasonably priced system. All powered electronics within a device are producing electromagnetic vibrations. Depending on the design and material of the devices, these vibrations have a greater or lesser degree of effects in the form of mechanical resonances. 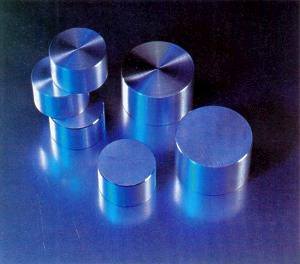 These resonances will reduce perfect operation of the electronics, such as transistors, valves, resistors, boards, high frequency coils, power supplies etc. Therefore, HiFi components will show the following effects: limited dynamics, non-transparent sound reproduction at lower volumes. Inaccurate reproduction of impulses at higher volumes; limited soundstaging and imaging, balance inaccuracy of the stereo signal will result in the lack of a definite center between the loudspeakers. Depending on the design of your components and the possibility of a "coupling", Acapella bases "Fondato Silenzio" can eliminate the above described effects and will optimize the sonic performance of your HiFi system. Due to the reduced electromagnetic distortions, sound reproduction of your components will be more lively, more three-dimensional, cleaner and, at low volumes, much more transparent. If we assume that all components of your HiFi system have been optimized by using Acapella�s bases, then you will have a sound experience that is only comparable with the three-dimensional reproduction of live music: a holographic event. The above mentioned resonances of the electronics are transmitted to the boards. Through the fixings of the boards, these resonances can cause vibration of the casings. At this point, Acapella�s base gets its full damping effect. 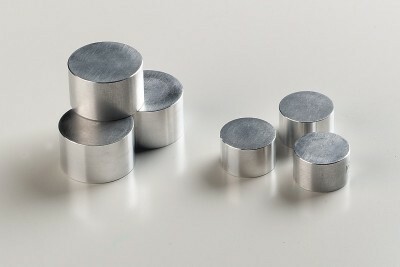 The resonances will be diverted to the aluminum surface via three aluminum pucks. From this surface, the resonances go immediately into layers of plumb and felt and will finally be eliminated within a layer of finest quartz sand. The better the device is coupled with the base, the greater the desired effect. 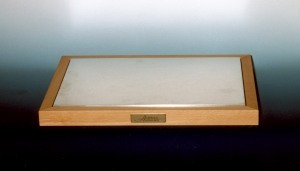 In the regular case, the devices should be placed on the base with three pucks in-between. It is also possible to place the base with the pucks in-between upside down on the top side of the device. Another base design, made of two damping metal layers, can be placed between two devices. Damping factor of the base is also guaranteed without the pucks, but we recommend to use them for best performance. Begin to optimize performance with the amplifier(s) first, followed by the preamp and the CD-player or CD transport last. 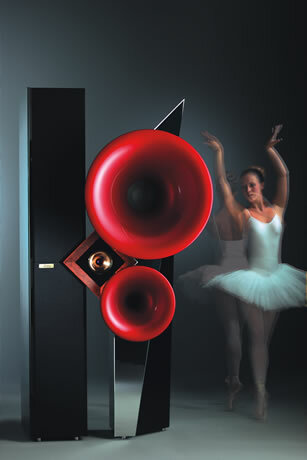 A positive effect is also given when you use "Fondato Silenzio" as the bases for your loudspeakers. Other sizes, other finishes upon request. Taller pucks. Overall measurements (includes horns) HxWxD 8' 2.4" x 4' 11" x 4' 3.2" 7' 4.5" x ? x 3' 3" 7' 10.5" x 28.5" x 38" 5'1" x 18" x 23" 4'7" x 15.2" x 23.8"
Overall measurements (without horns) HxWxD N/A 7' 4.5" x 3' 3" x 2' 5" N/A 3'10" x 13" x 18" 4'3" x 10.2" x 20.7"
Copyright (c) Audio Federation, Inc.